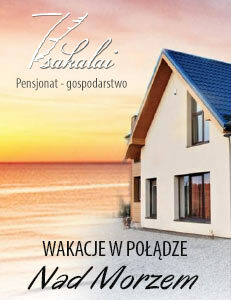 Rooms or apartment for rent in Palanga in a private house located in a quiet place. The apartment locates on the first and second floor of the house. The apartment has a separate entrance from the yard and a large terrace. The apartment can accommodate 4-14 persons. Convenient stay for two families with children, or one large family. A large enclosed yard, 2 parking places for our guests, children’s playground, grill. 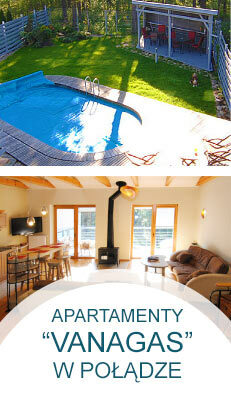 APARTMENT RENTAL PRICE: from 18 EUR per person per night. A large room with two double beds and a folding sofa. The room is divided into two parts. The bedroom and kitchen - dining room. WC and bathroom with shower. Jacuzzi and sauna for an extra fee. The apartment has a huge terrace where you can have breakfast, lunch, dinner and use outside grill. The apartment can accommodate 4-5 guests. 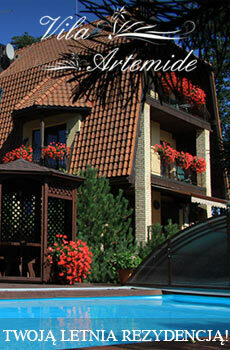 The first floor apartment rental price per night 60-75 EUR. There is baby cot. If family have more than 3 persons, there are additional beds in the attic. Renting separate rooms, guests share a kitchen and a shower and toilet. Two bedrooms. Each bedroom has a double bed and a single settee-bed, cable TV, internet. A baby crib can be added in a bedroom. Penthouse floor with three single beds. Hall - a large living room with dining table and mini kitchen (fridge, microwave oven, hob). In the dining room there is dishwasher and in bathroom there is washing machine (for additional fee). The second floor apartment rental price per night 35-160 EUR.